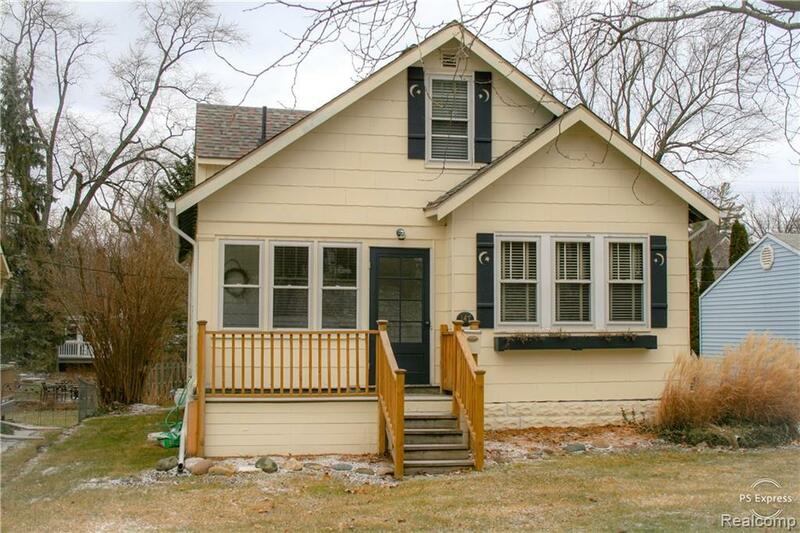 If youâre looking for a one of a kind Craftsman Cottage style with 1900âs character walking distance to everything Rochester has to offer? Here it is! Move in ready priced to sell! Beautiful hardwood floors. Original Arts and Crafts doors, moldings and trim. Updated kitchen, KraftMaid cabinets, farm sink & soapstone counters keeping style of home. 3 spacious bedrooms (1st floor master) and a den or 4th bedroom. Bathroom with Wainscoting and lots of updates too. More features include; storms & screens 2018, furnace/humidifier, hot water tank 2013, new roof 2012. Basement has tons of storage potential. Lot size 50X140 (dining room light, washer & dryer excluded). Extra room not included in sq ft ready to be finished for a 2nd bath! Fenced yard. Excellent LOCATION. BATVAI Award winning Rochester Schools.